How is it refilled? What kind of water , tap, boiled or distilled water? 1. To refill just lift water tank off a and the screw off lid is on the bottom. I use water from my PUR water filter on my faucet. 2. Tap water will work fine. 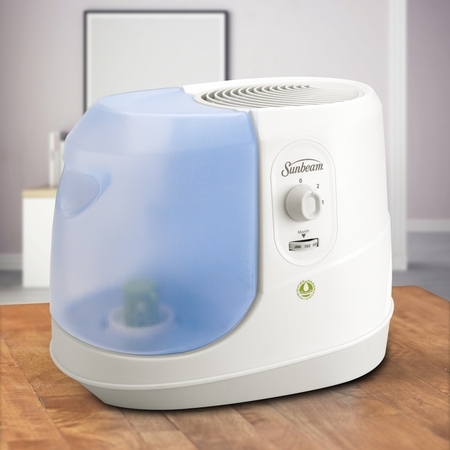 You should never use boiled or hot water in a cool mist humidifier, it can cause it to malfunction. 3. I have used tap water, hot or cold didn't matter. Is it automatic shut off when there is no water in it? 1. It does NOT auto shutoff when the water runs out. This is by design. 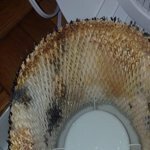 If the water runs out, the fan keeps running to dry the filter to keep mold and mildew from growing. 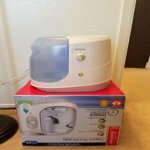 Great little humidifier. 2. Hello, No it does not shut off automatically when the water runs out. Hope this helps. 3. Yes, it has auto shut off feature and it can run up to 24-hour per tank filling. 1. 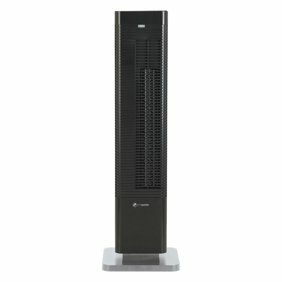 Hello, There is some sound when you have it turned on the "high" fan setting, however, on the low setting it is very quiet. Hope this helps. 3. No, this unit is quiet.